Amadeo Modilyani − one of the most expensive artists of the world. The story of his life − example recognized only after the death of genius. His creative search he began in France, where at that time the Bohemians of high art was the most progressive. 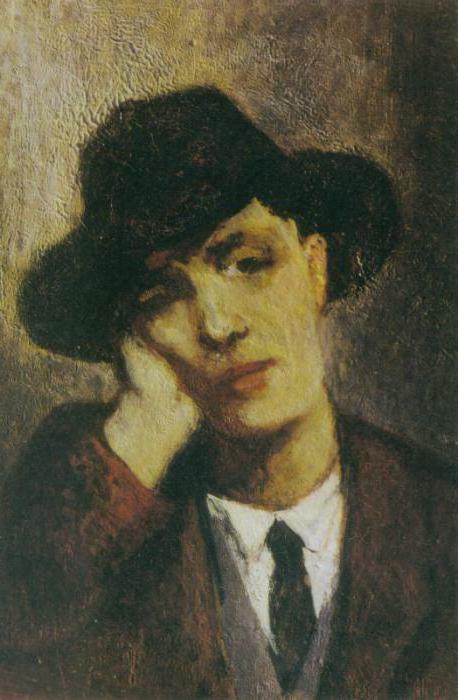 Along with him were born stars such as Picasso, Brancusi, Soutine, Kisling, Lipchitz and Gris. But his paintings have brought fame and income. The artist could not find his own style, while on his way met she − Jeanne. Modigliani until the end of his days drew inspiration from these relations. Portraits with her image now internationally renowned and appreciated by tens of millions of dollars. But this pair drank a lot of grief before you can take an honourable place in the history of painting. Let's go together into the story of selfless love Modigliani. Modigliani arrived in Paris from Italy at the age of twenty-two years. He was known as a gallant handsome man, so his bedside was visited by many models. For a long time Amadeo fast life wasting it on random women and drug addiction. But a serious romance he had two. Both left a strong imprint on his development as a painter. 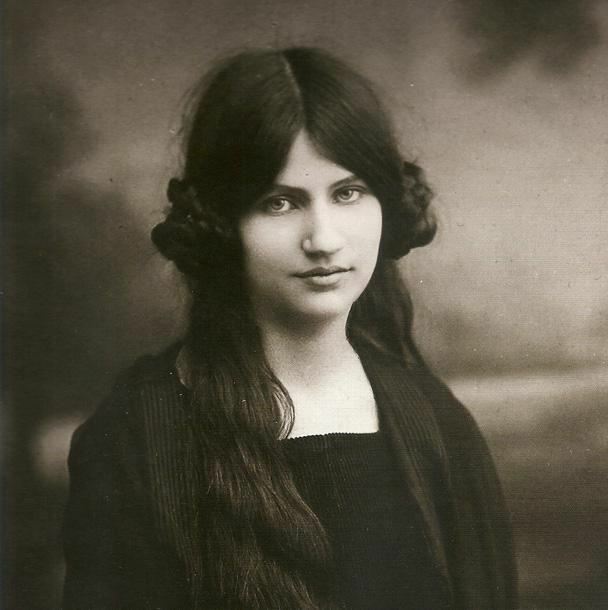 Really he wanted to marry only with the young Jeanne hébuterne. When 50 centimes Modigliani once again pored over his canvas in the open Studio at the Academy of Colarossi, he drew attention to the petite brown-haired woman with thick braids. Budding artist was sketching on the easel and each time I washed my work, unsatisfied with the result. Amadeo at this point began to paint her portrait. So his life was a 19-year-old Jeanne. 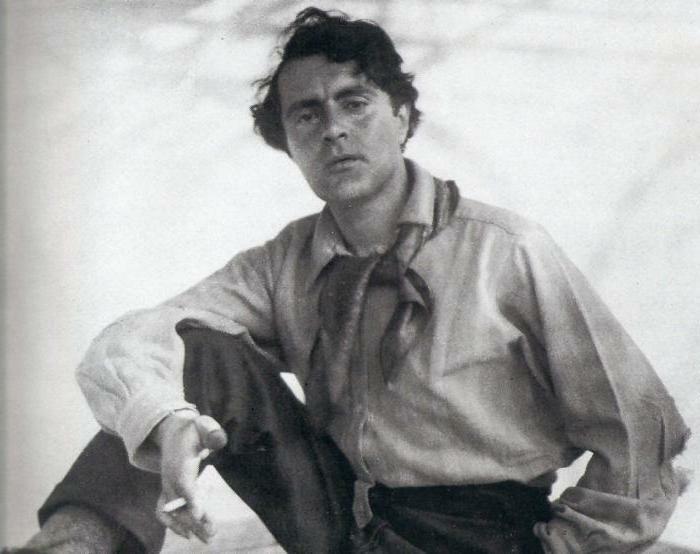 Modigliani at the time was 33. Amadeo introduced his beloved with all the buddies. They unanimously pointed out in his memoirs that this was the only woman who became his eternal love. Jeanne immediately moved to Amadeo. Her parents were against this Union, as were Roman Catholics, and the artist considered unreliable, and besides, he had Jewish roots. In spite of everything this couple took place in an informal marriage. They lived so poor that they sometimes had nothing to eat. These paintings were rare demand. Then, the girl could come to any other and to sell their coat. His ailments increased, the cough was not allowed to sleep at night. 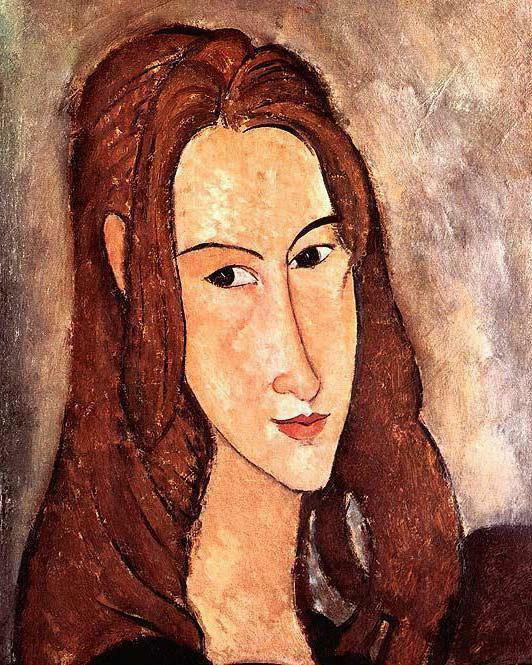 Jeanne Modigliani not so known to the General public as an artist. Often it is referred to as the Muse of Amadeo. For a long time the descendants of the artists did not consent to the exhibition of her works. It was first held in 2000 and later in Venice. Critics appreciate her work apart from other expressionists. The basic concept of the paintings reflected the spirit of the age, but Jeanne stood out own style. 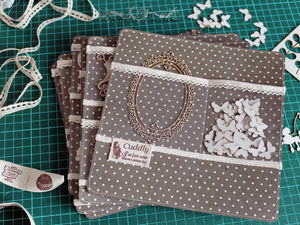 She paid special attention to detail and choice of colour palette. But the period of living together with Modigliani left a distinct mark − their canvases as if written by a single brush. One soul for two people placed in these paintings forever. After meeting with Joan Amadeo has written more than 20 of her portraits. He worked in the most fashionable at that time, genres − landscapes and still lifes. In the works of Modigliani portrait of Jeanne hebuterne occupies a special place. He didn't know anything around, except the human soul. He found his brushwork because of the young Muse and never retreated from personal Canon. His works have the characteristics of: face in the portrait resembles a thick mask, almond-shaped eyes, a nose, a shoulder blade and a small mouth with pursed lips unite them together, doing similar to the untrained eye. But with thoughtful consideration, we see the individuality of the model, which is expressed in the tilt of the head, position of hands or the bright choice of colors, not typical for his contemporaries. Modigliani led a wild life, suffering from sexually transmitted diseases and tuberculosis. 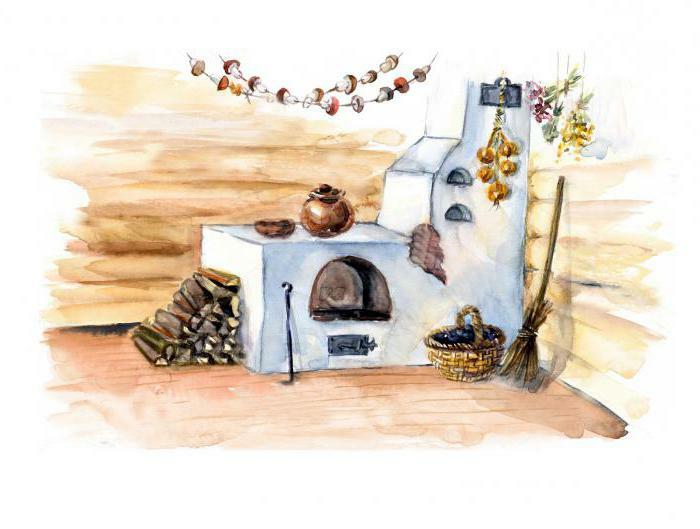 He was paying his drawings in the taverns and landlords. His work as a sculptor he is in desperation drowned in the Seine. By the way, looking for them until now, because now their value is undeniable. And then friends just laughed at drunken Modigliani, who decided to show them their work. Creative manner Amadeo made him too different from others to become well known in his time. His first exhibition failed miserably due to the fact that the police drew attention to a lewd image of a naked female model on the canvas. Perhaps his true place in life, he found only next to Jeanne, who humbly followed their God in the most difficult days. In 1918, the parents of Jeanne slightly thawed, and a purse with a close friend of the artist, Zbrowski, the pair organized a trip to nice. There they had a daughter who was named the same as the mother − Giovanna (Jeanne) of Modigliani. His work of this period was entirely devoted to the beloved. And on his return to Paris, Amadeo learned that I will become a father for the second time. Then he undertook to formalize the relationship, to marry Jeanne. Its plans were prevented by a deadly disease − tubercular meningitis. In January of 1920, Modigliani did not. Jeanne silently mourned than was feared family. Her parents were taken by force home, as it was on 9-m month of pregnancy. Having lost his love and the father of her unborn child, Jeanne has committed suicide. She jumped out of the window of the 5th floor. The accused Amadeo. Only 10 years later family has given consent to the reburial next to her beloved husband. World fame found them only after death. Years later, the adult daughter of artists, Jeanne Modigliani, learned the entire life story of their parents. She wrote the book "Modigliani: Man and myth", which contains a full biography of the genius of painting.